The Scotiabank Scholarship was established in 1998 on the occasion of the 100th anniversary of CIM. 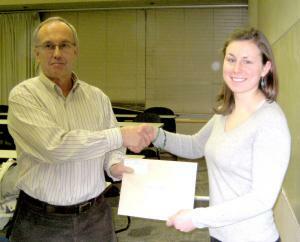 Every year, a $2,000 scholarship is awarded to a candidate studying in the fields of exploration and/or geology. 2013 . Mr. William Smyth, Oakville, Ontario, Queens U.